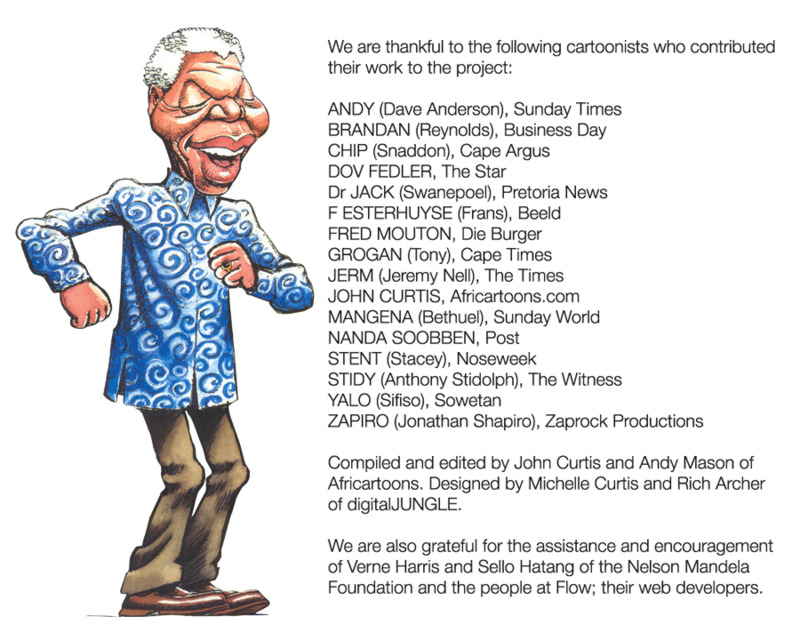 Mandela Cartoons: 20 Years of Freedom | CARTOONS FOR AFRICA! Nelson Mandela's release caught editorial cartoonists by surprise as much as it did anyone else, and had them frantically researching image references upon which to base their caricatures of the struggle icon. The fact that Mandela's image had been banned by the apartheid state didn't help, and he would have aged considerably during the 27 years of his incarceration. After his release cartoonists gradually fine tuned their caricatures of Madiba, and their growing admiration for him further informed an evolution of their depictions. This collection of editorial cartoons records that evolution as well as some highlights of the twenty years since Mandela walked free. For many more Mandela cartoons please visit Africartoons.com.